Troy Liu is the founder and CEO of Mileslife, an innovative mileage earning mobile app to connect local life and travel. As a renowned loyalty program expert, he was a consultant for many international hotel chains and airlines. Travelled to over 100 countries by earning and burning miles and points in the past 16 years, he also cast light on these by his million-word blog right here on Boardingarea since 2007. Mileslife has now officially soft launched in a new city – Hong Kong, Mileslife users can enjoy earning miles from everyday spending such as dining, hotels and activities booking in 10 cities now. Mileslife brings more earning options to Hong Kong users other than Asiamiles such as British Airways, Emirates Skywards and United Airlines. I think most people would know that 4500 BA miles can get you to many places from Hong Kong already. Users can earn 1 mile for every 2 HKD or 1 mile for every 4 HKD through Mileslife and we currently have several restaurants, hotels and activities such as Fang Fang, Fofo, and La Paloma. As part of the soft launch, users can earn 500 bonus miles whenever they dine at a Hong Kong restaurant. Simply the the promo code “MLHK” to enjoy this promotion. Users can also expect more merchants, restaurants and retails, to be added into Hong Kong city on Mileslife in the near future. Thanks for the support of Mileslife and we hope to bring more earning options to more places. 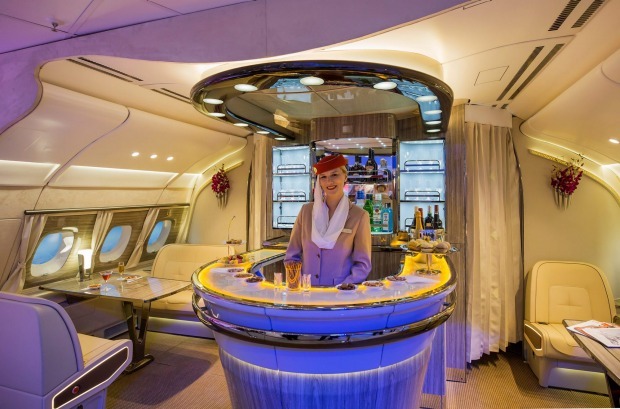 Mileslife have just released another new partnership with Emirates Skywards. From now onwards, Emirates Skywards members can earn miles directly on the Mileslife App via their daily spending and travel. Users can earn up to 7 miles for every 1 USD on top of their credit card miles/points, 3X means up to 21 miles. What’s even more interesting is that Elite members of Emirates can earn extra bonus miles whenever they use Mileslife, all miles will be credited into your EK account the following day automatically. Yeah! For all those years, I always feel disconnected between flying and earning miles on the ground. Whatever we enjoy in the sky will come to an end but with Mileslife, we are able to extend the enjoyment to the ground. During the launch, anyone who links their EK card to Mileslife will earn 200 bonus miles+3X miles on all purchases from Oct 17 through Nov 30. 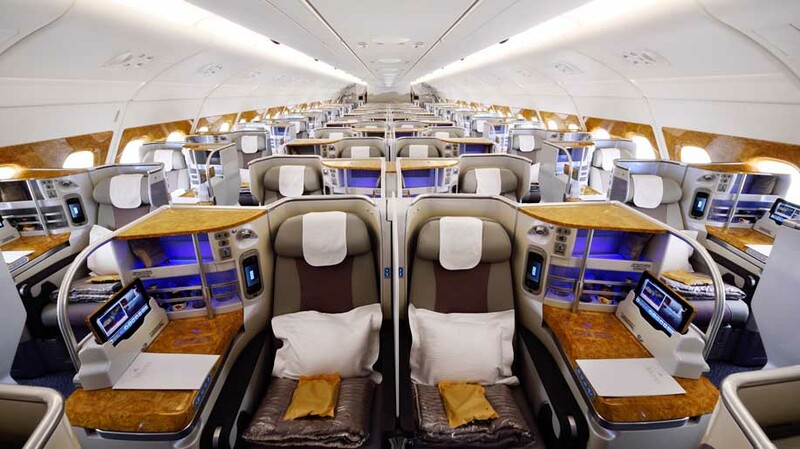 Emirates Skywards is one of the hardest program to accumulate miles but that will no longer be the case for people residing in China and Singapore at least. I want to say thank you for all the effort involved on both Emirates Skywards and Mileslife team to make the partnership live on time! Please note: English version and Chinese version have different merchants and payment methods. To switch versions, click “Account”->”Setting”. Writing a miles and points blog has played an important role in my life for the past 16 years, I started writing here and there in 2004 and decided to start my own blog in 2007. After moving back to China in 2009, I realized that no one was writing about miles and points in Chinese. I was the sole Chinese writer in this field for 6 years until “the great firewall” became stronger and made BoardingArea harder to access. Well, it actually made everything harder to access. Then, I had to move my writing to Chinese social media platforms like Weibo and Wechat instead until I stopped all communication channels including telecommunication for six months before Mileslife was started. Ever since then, I barely had the time to write again until now. For all those years, I thoroughly enjoyed traveling the world and staying in hotels with miles and points. I loved imparting my knowledge and educating people about miles whether is it entry or advanced level, beating the system within the fare rules and writing redemption manuals of almost every frequent flyer programme out there. Collecting miles and points is the only hobby I had since college and changed the way I viewed the world. I really missed writing so I finally decided to write again. This time, in world-famous Chinglish, on the same blog with a fresh perspective and a miles related product — Mileslife. I am sure that it will be interesting to see a weave of three different angles — consumer, industrial and running a consumer based industrial product. I did 10 years of “importing content to China”, now it is time for me to do another 10 years of “exporting product to the world”. Of course, I will also continue to share interesting stories on the road if I ever have the time to travel like I once did. Peak of Mount Nyiragongo, an active volcano.